The past is in the past! 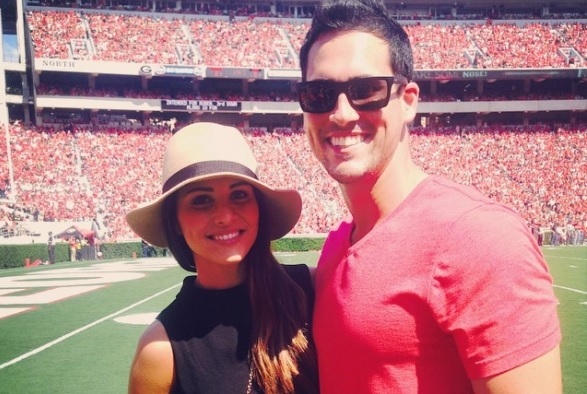 According to UsMagazine.com, The Bachelorette winner Josh Murray is completely over his former bride-to-be. His celebrity ex, Andi Dorfman, chose him on season 10, and they seemed to be in love, but the relationship dissolved fast. Murray stated, “We’re friends and everything like that. But at the end of the day, when you’re very different from somebody else, it just doesn’t work out.” We’ve seen heartbreak many times from the contestants on this ABC series, but rumors continue that this salesman will potentially be the next bachelor on the show. You won’t find anyone pining away in this celebrity ex duo! What are some ways to move on quickly after a break-up? 1. Invest in yourself: With the closing of this chapter, you open yourself up to independent growth and change. Don’t be afraid to take time for you and make some personal plans for the future. 2. Understand what it is: A break up is an ending. It is usually as simple as that. You can find your self in a web of drama, unresolved feelings and chaos…try to stay clear of this mess. There are reasons the relationship didn’t work, digest these and work through any issues you have with them. Moving forward is much easier if you internalize first. 3. Keep looking: You’ll definitely need time to recover after a tough break-up, but don’t sit and pine too long. There is a new relationship out there for the taking, and a wonderful new partner to share it with. Make sure to keep searching for your soul mate. Would you like to see Josh Murray as the next bachelor? Share your thoughts below!